​​Blizzard upped its game for the second Anniversary event. Compared to last year's edition, in which players simply received new skins, Blizzard brought back every item from past seasonal events, including Overwatch Archives, Halloween Terror, Lunar New Year, Summer Games, and Winter Wonderland. Select seasonal brawls also returned, including the fan-favorite Lucióball from the Summer Games. Players can also log in and receive a free Legendary Anniversary Loot Box containing a guaranteed legendary item. "We're excited to commemorate two years of playing Overwatch with you! What better way to mark the occasion with a new FFA Deathmatch map and more than 190 Anniversary items, including new Legendary skins?" Blizzard said on the ​event's landing page. 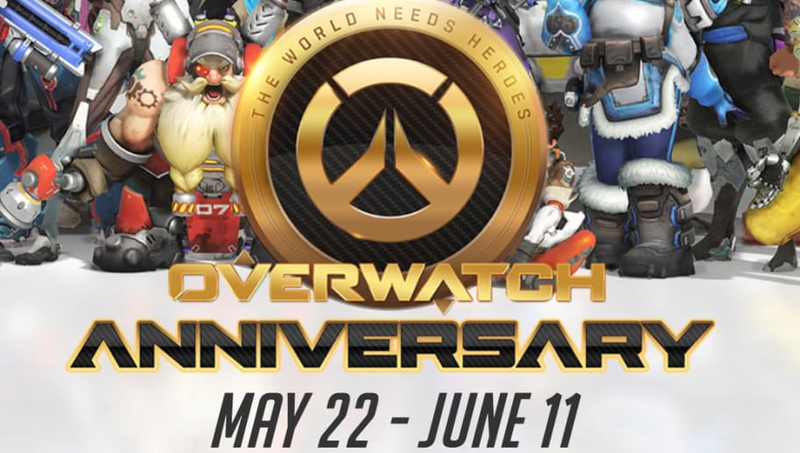 Overwatch Anniversary runs through June 11.